Asking candidates the right questions during a job interview is always important, but that’s especially true for sales roles. After all, these are people trained to pitch and spin for a living. How do you ensure you’re cutting through to the core competencies of each candidate, and filling up your team with A players who can truly deliver? Below you’ll find a collection of favorite interview questions from some of the top minds in B2B sales — each designed to help you identify the top performers who will make a bigger impact and fuel your company’s growth. 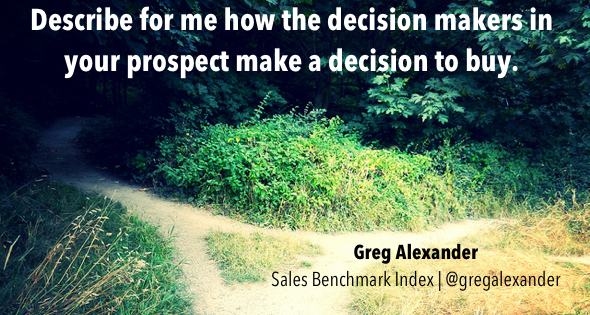 Greg Alexander started Sales Benchmark Index to provide sales consulting services to leading organizations across both private and public sectors. He is an active speaker and writer, co-authoring books such as Topgrading for Sales: World Class Methods to Interview, Hire, and Coach Top Sales Representatives. Connect with him on Twitter @GregAlexander. As “The Web Tools Guy,” Miles Austin combines a long career in technology sales with a long love affair with technology. He has been recognized as one of the leading authorities on Web Tools for sales and helps companies develop the strategies, implement the tactics, and choose the tools necessary to maximize sales productivity. 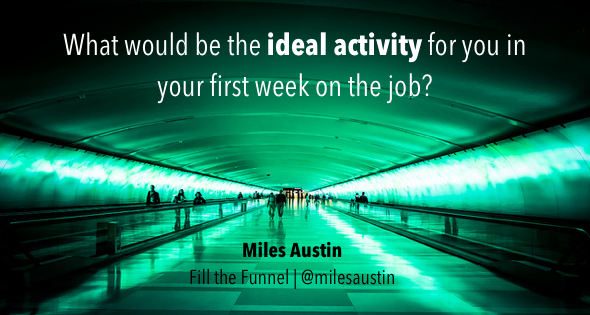 Connect with him on Twitter @milesaustin. 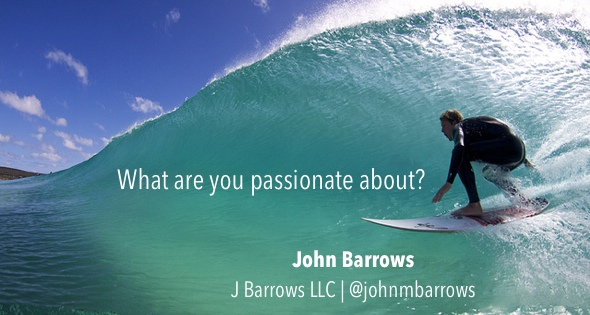 John Barrows is a sales trainer to some of the world’s leading tech companies. As Owner of J.Barrows LLC, he provides sales training and consulting for clients like Salesforce.com and Box. He is also the Founder of SalesFromTheStreets, an online video library of insights from successful sales professionals. Connect with him on Twitter @johnmbarrows, he provides sales training and consulting for clients like Salesforce.com and Box. He is also the Founder of SalesFromTheStreets, an online video library of insights from successful sales professionals. Connect with him on Twitter @johnmbarrows. 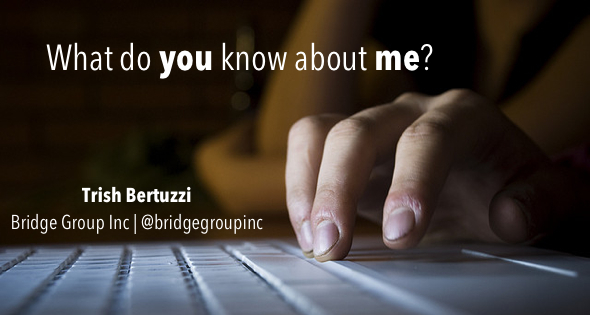 Trish Bertuzzi founded The Bridge Group in 1998 with the goal of helping technology companies build better and more successful inside sales teams. She’s a frequent contributor to the company’s Inside Sales Experts Blog, and was named Consulting Provider of the Year by the AA-ISP two years in a row.Connect with her on Twitter @bridgegroupinc. 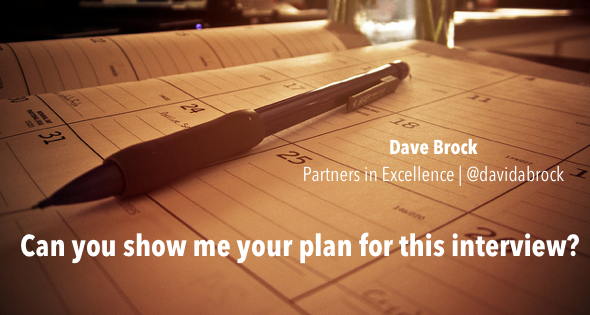 Dave Brock helps sales and business professionals achieve extraordinary goals through his consulting and services company Partners in EXCELLENCE. A global consulting practice, Partners in EXCELLENCE supports clients worldwide and provides coaching and mentoring to individuals ranging from CEO through individual contributors. Connect with him on Twitter @davidabrock. A successful sales leader for over 20 years, Colleen Francis has become renowned for her practical strategies and use of measurement and accountability to inspire sales team results. She has been distinguished as a Certified Sales Professional (C.S.P.) and Sales and Marketing Magazine has called Colleen and Engage Selling Solutions one of the top 5 most effective sales training organizations in the market today. She is the author of Honesty Sells and Nonstop Sales Boom. Connect with her on Twitter @EngageColleen. Kevin Gaither is VP of Inside Sales at ZipRecruiter. A senior sales executive with an 18+ year track record of growing early-stage and multi-million dollar businesses, Kevin specializes in attracting, retaining, and leading top-performing sales team focused on accelerating revenue growth. 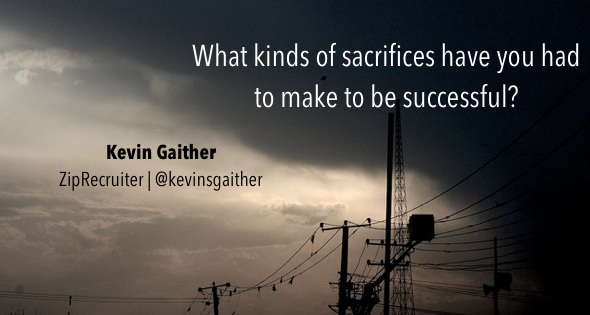 Connect with him on Twitter @kevinsgaither. 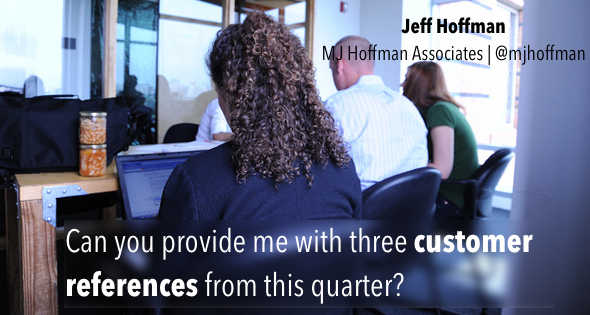 Jeff Hoffman is a renowned sales executive, educator, and entrepreneur with 25+ years experience. He has consulted with industry leaders throughout the world on the topics of sales, sales management, and sales operations and is the author of the award-winning Your SalesMBA™ and “Why You? Why You Now?”™ sales programs. Connect with him on Twitter @mjhoffman. As “The Sales Hunter,” Mark Hunter helps individuals and companies protect their profits and build better long-term customer relationships. Since 1998, Mark has conducted thousands of customized training programs and keynotes on sales. He is best known for his ability to motivate and move an organization through his high-energy presentations, and he is the author of High-Profit Selling. 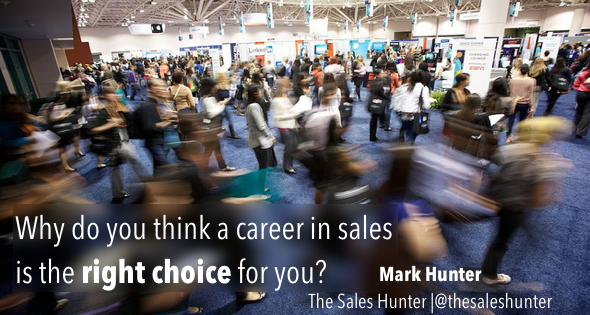 Connect with him on Twitter @TheSalesHunter. 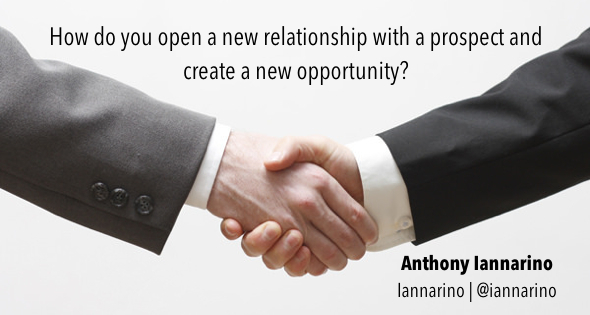 S. Anthony Iannarino is an author, speaker, and entrepreneur. He is the President and Chief Sales Officer of SOLUTIONS Staffing, the Managing Director of B2B Sales Coach & Consultancy, an Adjunct Faculty Member of Capital University’s School of Leadership and Management. He writes for ThinkSales, SUCCESS Magazine, and daily at thesalesblog.com. Connect with him on Twitter @iannarino. 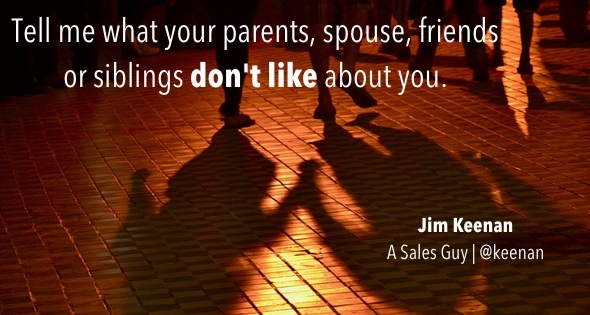 Jim Keenan has been selling as well as running, building, tweaking, disrupting, fixing, and flat-out reconstructing sales organizations for almost 20 years. Senior Partner and Founder of A Sales Guy Consulting, and author of blog A Sales Guy, he has been named one of Sales and Marketing’s most influential people by Top Sales World Magazine and listed on Guy Kawasaki’s AllTop Blogs. Keenan is also creator of A Sales Guy U, the Web’s fastest growing site for sales resources, videos, eBooks and more. Connect with him on Twitter @keenan. 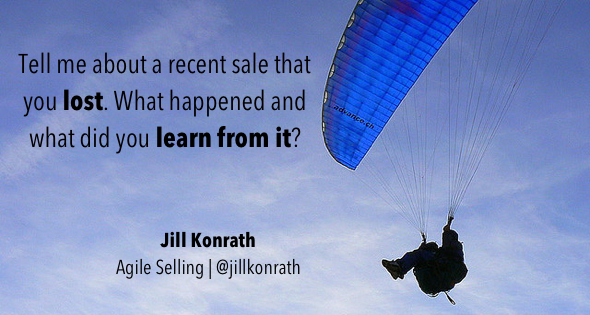 Jill Konrath’s fresh strategies help salespeople acquire new clients, minimize losses to “no decision,” and slash months of their sales cycle. 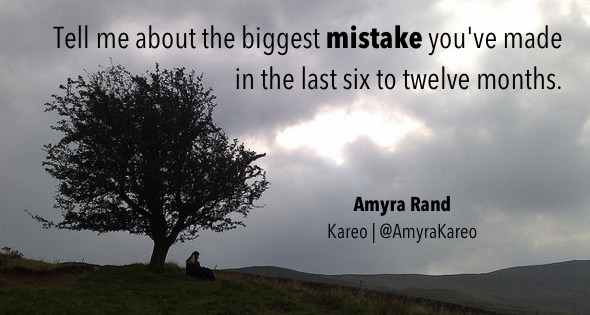 She is the bestselling author of SNAP Selling, Selling to Big Companies, and the new Agile Selling. She is a popular blogger, and frequent speaker/trainer at sales meetings. Connect with her on Twitter @jillkonrath. 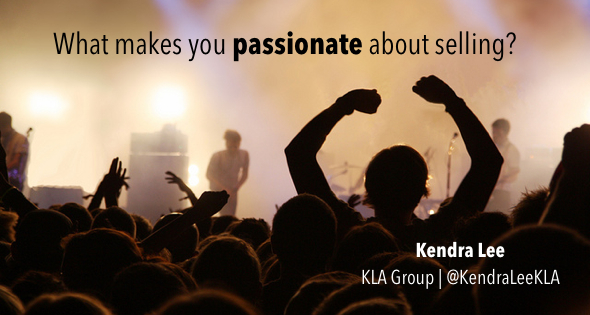 As founder and President of KLA Group, Kendra Lee helps small and midsize technology companies implement and enhance their prospect attraction strategies to get more customers. She is a frequent contributor to the company’s blog and author of The Sales Magnet: How to Get More Customers Without Cold Calling and Selling Against the Goal. Connect with her on Twitter @KendraLeeKLA. 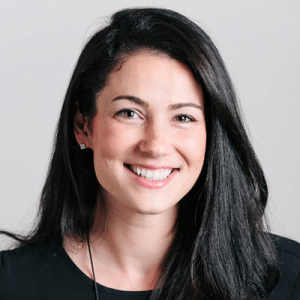 As Vice President of Sales, Amyra Rand is responsible for driving Kareo’s sales strategies, increasing sales operational efficiencies, and accelerating market growth. With over 15 years of software industry experience, she is highly skilled in building and managing world class sales teams that deliver results and, more importantly, an outstanding customer experience. Connect with her on Twitter @AmyraRand. Steve Richard is Co-Founder of Vorsight, the Sales Training Provider of the Year four years in a row by the AA-ISP. He has been featured in the Harvard Business Review, the Washington Business Journal, theWashington Post, and CNN/Money. He is also a CNBC guest contributor. 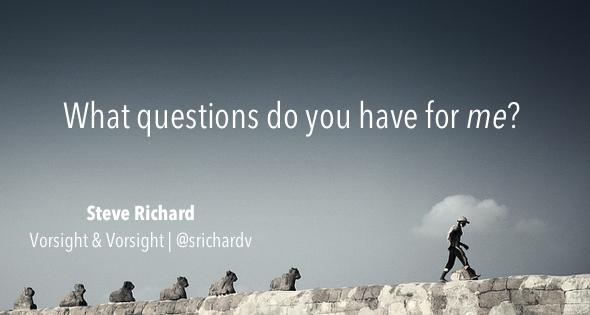 Connect with him on Twitter @srichardv. Lori Richardson is the founder and CEO of Score More Sales, LLC, a Boston-based firm that partners with mid-market technology companies to improve prospecting through working directly with sales leaders and in coaching sales reps. Lori splits her time between consulting, training, and as a mid-market sales blogger for technology brands. Connect with her on Twitter @scoremoresales. Craig Rosenberg co-founded TOPO, a research and advisory firm that helps companies grow faster by shopping, benchmarking, and improving the experiences that sales and marketing organizations deliver to buyers. 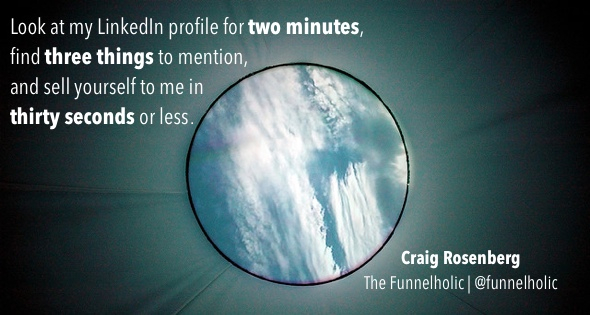 He is also the author of popular sales and marketing blog The FunnelHolic. Connect with him on Twitter @funnelholic. Lee B. Salz is the best-selling author of Hire Right Higher Profits, the #1 rated sales/sales management book on Amazon. He is a leading sales management strategist, CEO of Sales Architects and The Revenue Accelerator, and a featured Business Journal columnist. 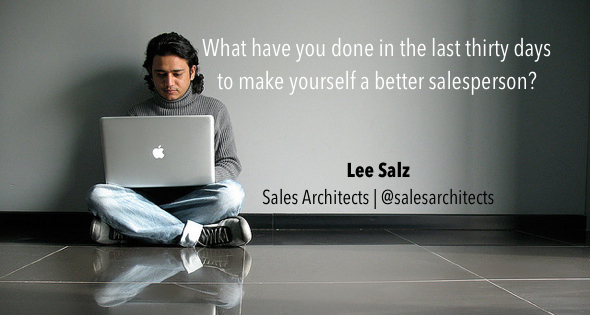 Connect with him on Twitter @SalesArchitects. 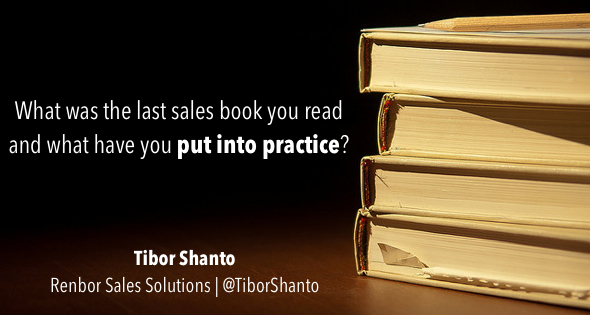 Tibor Shanto has been a sales leader for over 25 years, helping companies achieve and improve their revenue goals. He has been called a brilliant sales tactician, helping sales teams and organizations to better execute their sales process. As a principal with Renbor Sales Solutions, he works with leading B2B sales organizations to deliver sales growth through the right combination of strategic and tactical execution supported by metrics and his Follow-Through Action Plan. Connect with him on Twitter @TiborShanto. Mike Weinberg is the founder of The New Sales Coach. He consults senior executives and coaches sales leaders and teams offering blunt, practical sales management and new business development help. Mike’s first book, New Sales. Simplified: The Essential Handbook for Prospecting and New Business Development became a #1 Amazon Bestseller and spent 12 months as the #1 Top-Rated book in its category. 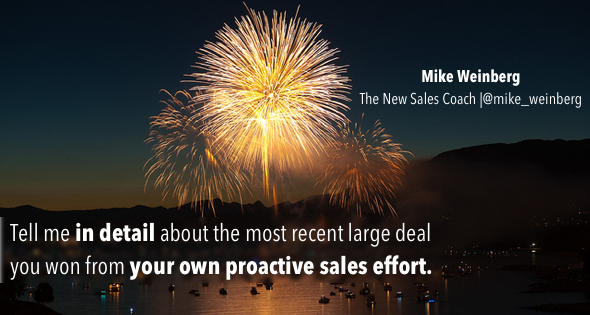 Prior to launching his own firm, Mike had been the top-producing salesperson in three organizations. Connect with him on Twitter @mike_weinberg. 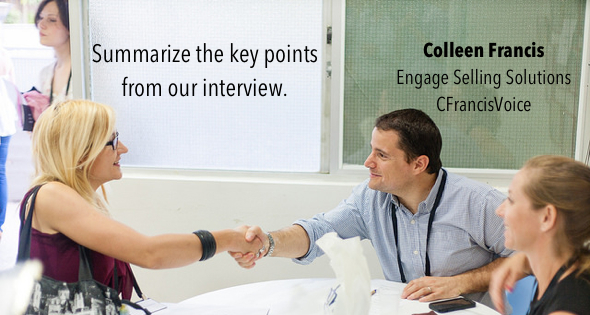 Download our free sales interview guide. Inside you’ll find the necessary questions to ask to really dig into a candidate’s experience and assess them on the three key components — Drive, Selling Skills, and Personal Attributes — that ultimately separate the best sales reps from the rest. 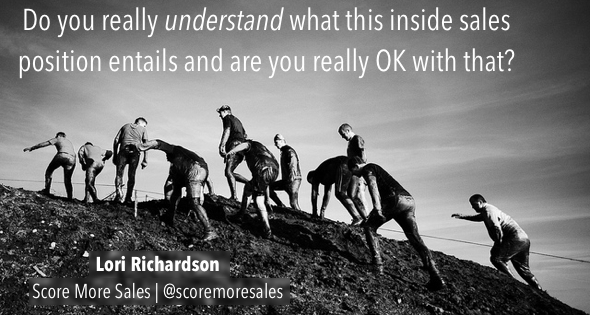 What are your favorite interview questions for sales hires? Let us know in the comments.